Hetregó Naos champagne down cape is a great outerwear choice that suit all women, thanks to the shape of this style. 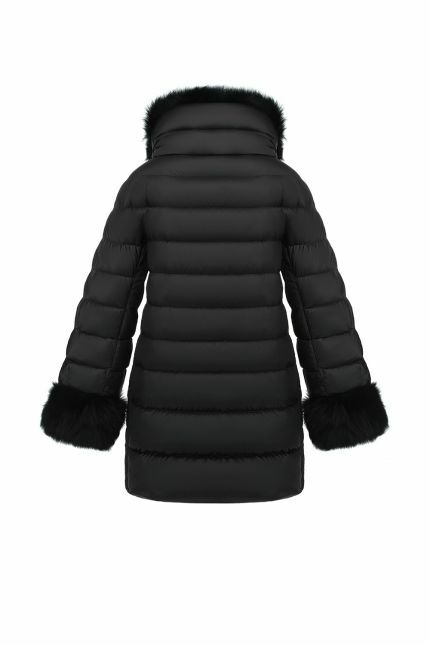 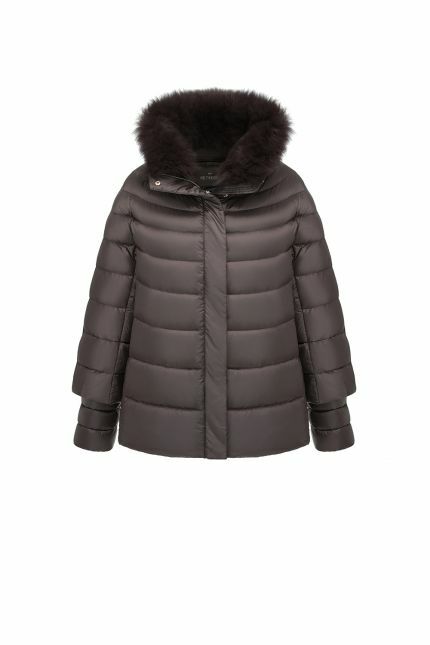 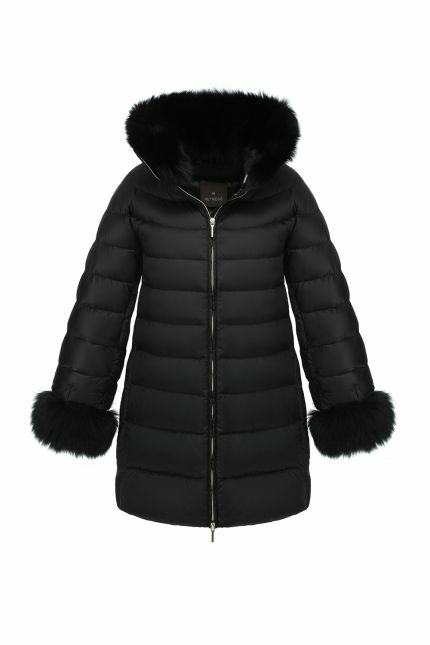 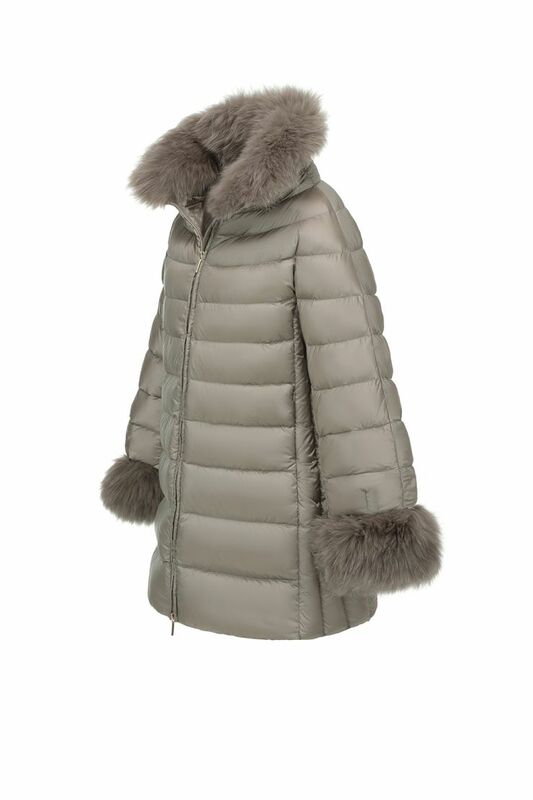 This mid length coat is padded in goose down and has a champagne fox collar: close the central two-way zipper to feel the softness and the warmth of the fur or add an elegant touch to your coat showing it off. 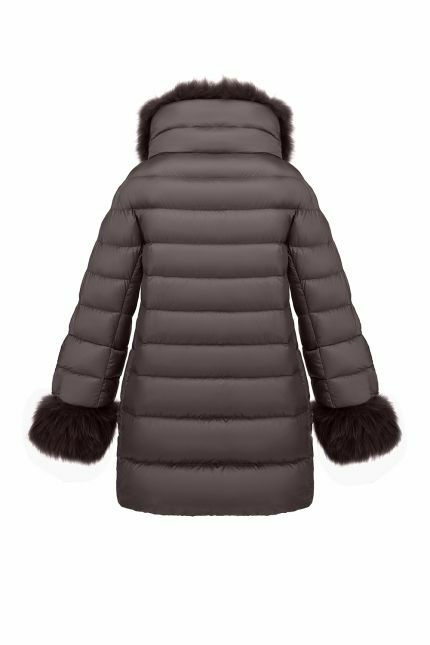 Detailed with removable champagne fox on the sleeves, this elegant coat keep you feeling warm and looking fantastic all winter. 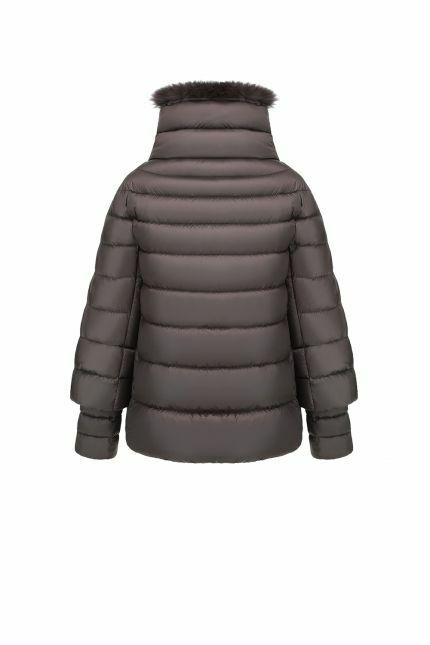 Water repellent and windproof, Naos is made in nylon with champagne lining and has two zipper welt pockets.